A friend recently asked me 'What's all this crazy nonsense I keep hearing about authority and trust now on all of the IM sites?'? Yes, I've preached it myself. The mantras for 2010 and 2011 have been 'You gotta have authority and you gotta have trust!' Just what is all this noise about? If you remember from my previous post Your Not Making Any Money Online without Authority, I said that Google is trying to improve their search results continually to judge, rank and read sites just as a human would. They're basically building a form of very static artificial intelligence to be able to pick and choose your content as if you were weeding through looking for a specific result. And this engine is only getting better - to a more dynamic intelligence. All well and good right? What does that mean to you? You need to sit back and ask yourself how you trust sites and give them authority as a normal activity. For example, how would you judge, say, a wealth building site that had AdSense ads plastered all over it with hundreds of pages that you suspect are just a pile of crappy PLR articles. They're pretty easy to spot - tons of keyword stuffing, no personal writing style, slapped together with one purpose in mind - making money off the poor git who might click an ad. Another example? How about trying to find a real, in depth view of a product or service. How easy is it for you to be able to fish out the parrots of marketing fluff over someone who actually bought the product, tried it, had results and wrote good content about it? My point is that the big three; Google, Yahoo and Bing are going to wash those sites to the bottom of the well - but, you can count that a natural, well thought out 'human' style is going to win out. Sure, there are many factors to ranking; this isn't the only one (such as trusted inbound links, domain age, clean page structure, and natural growth). It is growing in importance and you need to pay attention to it. 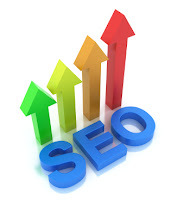 So, what can you do to give your sites a Google booster and up your search engine ranking? Think like Wikipedia! Here are some tips that can give you staying power to continually build your rank, up your online earnings and simply make your sites better. Good god! Clean up your pages and move to a more readable, cleaner design. Frankly, you're going to be way better off with a very clean site with valuable content than one cluttered with banners, ads, and links. A well structured site is very easy in HTML and you shouldn't have any problems keeping your information organized. I'm not saying to remove all ads and links - just focus on the content. This is not easy for most people since it is like going back to school. But, I'll tell you right now this this a great way to focus your content to the topic at hand. This is where Wikipedia comes in - take a look at how information is organized. If you broke down what you were going to write using an outliner - your content will be more informative, easier to write and will lead the reader to the their desired subtopics. I don't know about you, but, really long content is difficult to get through if the topic isn't something you are really zeroing on and the information is broken down into manageable chunks. Keyword stuffing is a thing of the past - stop repeating the same keyword phrases over and over. You can use a thesaurus if it helps. Google is working their butts off to tie together semantic meanings. For example, they are grouping common terms into semantic buckets - such as make money, earn money, increase profits, financial gain, acquire income. These all fall into a common semantic meaning which is a more human way of providing content. Yes, you should still have critical long tail keywords - but don't just stuff them narrowly. Remember, you are providing information for other searchers on the internet. Ask the questions; who, what, when, where, why and how. For example, if you are marketing a product ask yourself who should buy this product, just what is it they're getting, when should they use it, where can they find it, why is it important and how does it work? Answering these will drive to a more specific answer the search engines love. When someone is searching for a question like 'what is an affiliate site', your page should be the authoritative answer structured around answering what an affiliate site is. Ok, in my mind any article on Wikipedia is what I would call 'the perfect webpage'- by that I mean it is structured HTML the way it is supposed to be used. No ifs ands or buts - just go look at how a single Wikipedia page is setup. The header tags are designed specifically to be topics and subtopics - the search engines know this. You should design your pages the very same way. Make sure your title and single H1 tag reflect the main topic (typically your keyword phrase). Outline your page using the H2-H6 tags just as I mentioned above. You should always have a single H1 topic per page and as many H2 to H6 tags as you need. I know that some blogging engines don't let you do this - Wordpress is very good at structuring that way. You can modify Blogger to do this but it takes some customization effort. HTML stands for Hypertext Markup Language with the goal of being a interlinked, related content both internal and external. This is a very tough tip that may need some experimentation. For any site you want to use internal context links as well as quality outbound links. The key is balancing your links so as not to reduce the ratio of inbound to outbound links but to still set you link quality with semantically (contextually) related topics. You can use these relations to your advantage just as Wikipedia does. All I can tell you now is experiment a bit. I have a small Wordpress site that recently jumped to #1 in Google that was structured in the way I mentioned. It only has 4 content pages, 2 category pages, and an About page. The raw Google search results for the keyword phrase is 611,000 and the quoted result is 45,000. A recent backlink check showed only 81 links of which most are IP and site stats links. Google loves this site - and, it is structured like Wikipedia - not proof, but certainly strong evidence of how you should be thinking in the future! Great post Don. Totally agree, the age of building a site in one day and slapping plrs and ad sense on it and with some link building getting to page 1 on Google is over. Now days, the real quality content will be the winner(s) not just any nonsense post with thousands of backlinks from all over. Boy you are spot on! I get tired of being taken to a catalog page with little or no information on what I am looking for. Great content like comprehensive reviews, interviews and videos make a huge difference! Great post. I completely agree, the big 3 are getting better and better everyday, so, eventually all the junks will be pushed out of the way. Its best to have clean it up now while you have the chance so you can stay in the game. I totally agree with these tips you have shared to maintain a high PR site. Thanks for this wonderful post.